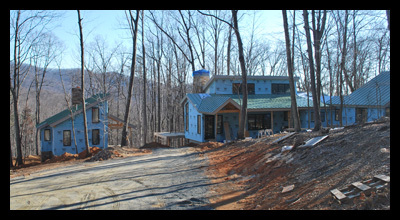 A new modern home was sited in the forest to take advantage of the mountain views and daylight. 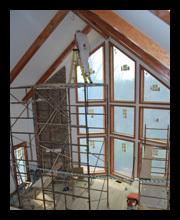 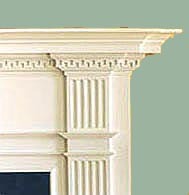 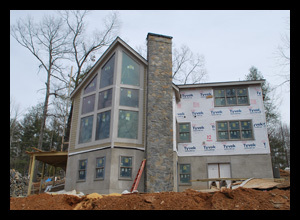 A stone chimney with an indoor and an outdoor fireplace anchor the heart of the home, while the foam insulation, triple-glazed windows and geothermal heat pump assure energy efficiency. 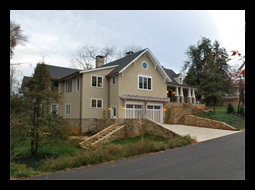 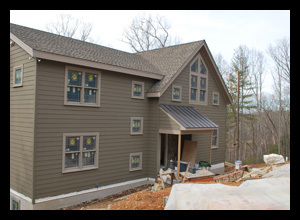 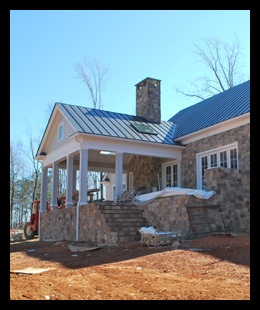 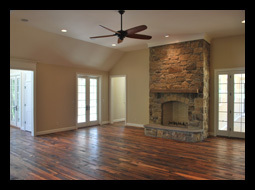 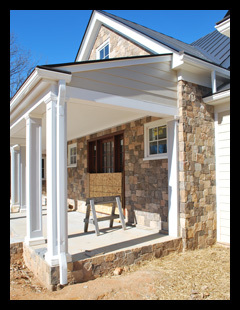 A new traditional home, with both stone and siding exteriors, provides a generous, rear covered porch connected to the great room and kitchen/dining spaces, as well as a welcoming covered front porch that takes advantage of the mountain views. 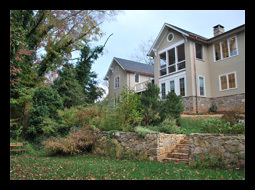 Alterations and additions to a modest city house open the plan to a new great room, add new porches at the front entry and rear gardens, and also add a screened porch and deck shared with the new master suite overlooking a lower garden and stream below. 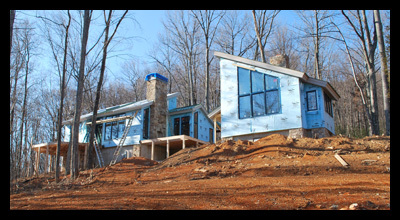 A new contemporary home has angled great room windows to take advantage of river views winding around the house below and mountain views above. 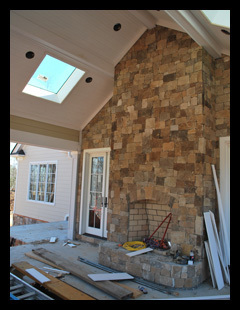 Decks, still under construction will extend living spaces to the outdoors on the side and rear of the house.